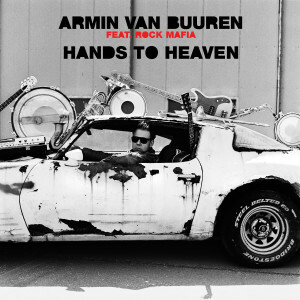 As one of the fifteen breath-taking songs on ‘Embrace’, ‘Hands To Heaven’ rises as a smashing collaboration between Armin van Buuren and L.A.-based songwriting team Rock Mafia. The result is undeniably impressive, seamlessly combining the distinctive Rock Mafia contribution with Armin’s drifting melodies, flawless harmonies, and a solid bassline. With it being one of the mighty trancers on the album, Trance fans from all over the globe have cause to rejoice.